Is Misdiagnosis and Delayed Diagnosis Considered Medical Malpractice? Going to the doctors’ office can be a stressful event, especially when you are experiencing pain or discomfort from a medical ailment. The doctor must be able to properly diagnose your medical issue. If the doctor does not properly diagnose you, it may cause your condition to worsen or develop into another ailment all together. Medical malpractice can occur when doctors harm patients by not providing them with the medical standard of care. Malpractice cases can include medical errors, childbirth injuries or surgical mistakes. One type of mistake that is commonly addressed in many medical malpractice lawsuits is misdiagnosis or delayed diagnosis. You had a previous patient relationship with the doctor. The doctor provided you with negligent treatment for your injury. The negligent treatment caused injury. The initial doctor did not correctly diagnosis you via the differential diagnosis list but another trained and competent doctor did. The initial doctor did correctly diagnosis you via the differential diagnosis list but did not consult any specialist to investigate the probability of the diagnosis. If you or a loved one suffered from misdiagnosis or delayed diagnosis due to a doctor’s negligence, contact an experienced attorney today. The medical malpractice lawyers at Lampert and Walsh, LLC will do their best to get you the compensation you deserve for your pain and suffering. Did Porter Adventist Hospital Expose Patients to Deadly Viruses? The Colorado Department of Public Health and Environment is investigating surgical site infections and the transmission of bloodborne pathogens at Porter Adventist Hospital in Denver. Health department officials found problems with how the hospital sterilized surgical tools after orthopedic and spine surgeries. Surgeons may have used contaminated surgical tools on patients. Infections were reported among patients who underwent orthopedic or spine surgeries between July 21, 2016 and April 5, 2018. The Colorado Department of Public Health and Environment announced that patients who received these surgical procedures may have been at risk of contracting hepatitis B, hepatitis C or HIV. You may contract these viruses through exposure to infected blood. After the health department found sanitation problems, the hospital temporarily suspended surgeries. Surgeries resumed on Thursday on a limited schedule. Were You Affected by the Porter Adventist Hospital Sterilization Breach? Porter Adventist Hospital sent letters to patients affected by the sanitation breach. If you received surgery at the hospital or a letter, then you can receive testing for HIV, hepatitis B or hepatitis C.
While these three viruses are treatable, they are also potentially fatal and can result in severe health complications. Treatments for HIV, hepatitis B and hepatitis C are expensive. Can I Sue if I Develop an Infection from Surgery? You may be entitled to compensation if you or a loved one contracted a surgical infection at Porter Adventist Hospital. 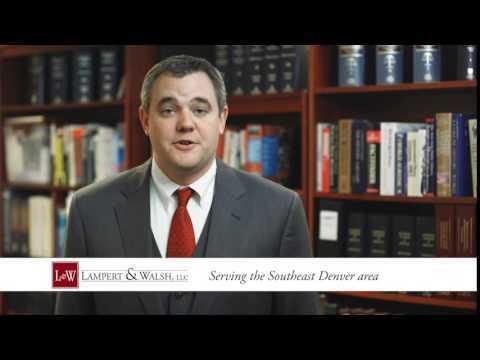 The Denver medical malpractice attorneys at Lampert & Walsh, LLC can help you determine whether it would be possible to recover compensation. Our law firm is currently investigating claims against this hospital. You can speak to one of our attorneys during a free consultation by calling 720-489-5848 or by using our confidential case review form. To learn more about our experience handling medical negligence cases, continue to explore our website.